Who Is Eligible for Veterans Administration Benefits? Veterans whose military service was completed under conditions other than dishonorable can qualify. Honorable and general discharges qualify the veteran for benefits. Holders of undesirable or bad conduct discharges may qualify, depending upon determination by the VA based on the facts of each case. Dependents and survivors of veterans may also be eligible for certain VA benefits. The VA pays compensation if you are disabled by injury or disease incurred or aggravated by active service in the line of duty. Payments are based on the degree of disability. The VA pays additional money for your dependents if your service-connected disabilities are evaluated by us as 30 percent or more disabling. In addition, if you are 30 percent or more disabled and your spouse is in need of regular aid and attendance, an increased dependency allowance is payable to your spouse. Special monthly compensation rates may be authorized for veterans whose service connected disabilities are severe and meet certain statutory requirements. These special rates apply, for example, for blinded veterans and those who have lost limbs or the use of limbs. If you are a veteran having served at least 90 or more days on active duty in the armed forces with one day beginning or ending during a period of war, and you have become permanently and totally disabled and are unable to maintain substantially gainful employment, you may have eligibility for the VA's non service-connected disability pension. The VA does not pay a pension if your estate and that of your spouse and dependent children is so large that it is reasonable that you use some of it for living expenses or if your income exceeds the applicable limit in the law. If you are receiving benefits under a pension program which was in effect prior to January 1, 1979, you may continue to receive a pension at the monthly rates in effect as of December 31, 1978, as long as you remain permanently and totally disabled and your income does not exceed the applicable limitation. You may elect to be covered by the current Improved Pension program if it is to your advantage. However, election is final. If you have no spouse or child and live in a VA domiciliary or nursing home, the VA reduces your monthly pension payments after three full calendar months of care. An additional allowance is payable to you if you are a patient in a nursing home or otherwise determined to be in need of regular aid and attendance or if you are permanently housebound due to disability. If you are entitled to those benefits, you may also be entitled to receive additional medical services prescribed by physicians for illnesses and injuries. The VA provides hospital or outpatient care when needed for all service-connected medical or compensated dental conditions. The VA will give treatment at any one of the many VA medical centers or clinics, or, under certain circumstances, the VA may pay for outpatient care by a hometown doctor or dentist. Generally, the VA cannot authorize payment for services of hometown doctors or dentists not approved in advance. Certain persons who were administratively discharged under other than honorable conditions may be furnished health care for any disability incurred or aggravated during active service in the line of duty. 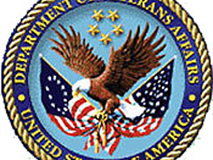 Hospital care in VA facilities is provided to any veteran who is rated service connected; is retired from active duty for a disability incurred or aggravated while in military service; is in receipt of a VA pension; is eligible for Medicaid; is a former POW; is in need of care for a condition possibly related to exposure to dioxin or other toxic substance (such as Agent Orange) while in Vietnam August 4, 1963 through May 7, 1974; in in need of care for a condition possibly related to exposure to ionizing radiation from participating in nuclear tests or in the American occupation of Hiroshima or Nagasaki, Japan, between September 11, 1934 and July 1, 1936; or an income below $18,171 for veterans with no dependents, below $21,804 for a veteran with a spouse ($1,213 added for each additional dependent)(mandatory catagory). Veterans with incomes in excess of these amounts may be furnished hospital care in VA facilities on a space available basis if they agree to pay the VA a co-payment (discretionary category). NOTE: Income amounts listed above will be adjusted January 1 of each year by the same percent that VA pension rates are increased. Hospital care is not available to you if your entire period of service was active duty for training, unless your were disabled from a disease or injury incurred or aggravated in the line of duty. In this case, you are eligible for medical services on the same basis as other veterans with service-incurred diseases or disabilities. A veteran with a combined service-connected disability rating of 40 percent or more for any medical disability. A veteran for the injury suffered as a result of VA hospitalization. Any veteran in a VA-approved vocational rehabilitation program. Any veteran, in the following group, on a pre or post-hospital care or ambulatory care basis to obviate the need for hospitalization until the patient's condition is stabilized or the patient is admitted. Any veteran rated 30 percent or 30 percent service-connected (for treatment of their non service-connected conditions). Any veteran whose annual income does not exceed the maximum applicable rate of a pension for a veteran in need of regular aid and attendance. NOTE: The veterans income must be lower than that level which will qualify him or her for the mandatory category of hospital care. Any veteran who is a former prisoner of war. Any World War I or Mexican border period veteran. Any veteran receiving aid and attendance or housebound pension benefit. Any veteran in the following group, on a pre- or post-hospital care or ambulatory basis to obviate the need for hospitalization (until the patient's condition is stabilized or the patient is admitted). Any veteran exposed to a toxic substance in a herbicide or defoliant used for military purposes in Vietnam or to radiation as a consequence of participation in the test of a nuclear device or of service with the occupation forces of Hiroshima or Nagasaki, Japan, prior to July 1, 1936. Any veteran identified in the mandatory category for hospitalization purposes whose income is more than the pension rate of a veteran in need of regular aid and attendance. Any veteran identified in the discretionary category for inpatient purposes. As a part of outpatient medical treatment, you may be eligible for home health services necessary or appropriate for the effective and economical treatment of disabilities. These services include some home improvements and structural alterations. If you are a Vietnam era veteran or served in a theater of combat operations after August 2, 1990, you may also obtain readjustment counseling and follow up mental health services to facilitate adjustment to civilian life. If you need a prosthetic appliance, you may be eligble if you are receiving hosital or domiciliary care or meet the basic requirements for outpatient treatment. A guide dog, including cost of training to use the dog and the cost of the dog's medical attention. 6. Have service-connected disabilities rated at 100 percent. If you are an eligible veteran who is pursuing a vocational rehabilitation course, dental treatment may be provided to avoid interruption of the training program. If you received dental treatment while hospitalized in a VA medical center, that treatment may continue on an outpatient basis if it is professionally determined to be reasonably necessary. The VA has a program for the treatment of veterans for alcoholism and other drug depenence. If you have such a problem, we encourage you to contact the nearest VA medical center or outpatient clinic. Any VA office will assist you in the arranging for treatment. 3. You die on active duty, in the line of duty. The above applies only when the applicant does not have entitlement to similar care under CHAMPUS (Civilian Health and Medical Program of the Uniformed Services), or Medicare. CHAMPVA cost-shares only certain medical bills. The beneficiary pays the full bill for any care that is not covered by CHAMPVA. For care that is covered, the beneficiary still pays for part of the bills. How much the beneficiary pays depends on whether the provider's rates are compatible with the CHAMPVA determined allowable cost, and if they agree to accept the CHAMPVA rate as their full fee for the care provided. For outpatient care, there is a yearly deductible of $40 for one person or $100 for a family. The beneficiary pays the provider for the first $40 (or, for a family, $100) worth of medical bills in a fiscal year. The fiscal year runs from October 1 through September 30. Then, after the deductible is met, CHAMPVA pays 74 percent of the allowable charge for each medical bill. CHAMPVA began a new system of paying, civilian hospitals for inpatient care. Under the system called "diagnosis-related groups (DRG's)" most hospitals in the 40 states, the District of Columbia and Puerto Rico will be paid a fixed rate for inpatient services, regardless of how much the care actually costs. The DRG amounts paid for inpatient services are based generally on national averages of costs for specific services. The beneficiary pays 24 percent of inpatient care plus anything over the allowable charge. Reimbursement of Burial Expenses VA will pay a $300 burial and funeral expense allowance for deceased veterans who were, at the time of death, entitled to receive pension or compensation, or would have been entitled to receive copensation but for the receipt of military retired pay. Eligibility is also established when death occurs in a VA facility or in a contract nursing home to which the deceased was properly admitted. In addition, the VA will pay a $150 plot or interment allowance for deaths prior to December 1, 2001 and $300 for deaths on or after December 1, 2001 if the requirements for the burial allowance are met, or if the deceased was discharged from active duty because of disability which was incurred or aggravated in the line of duty. The plot allowance is not payable if the veteran is buried in a national cemetery. For veterans who die of a service-connected disability, the VA will pay a burial allowance up to $1,400 in lieu of other burial benefits. Claim for non service-connected burial allowance must be filed within two years after burial or cremation. There is no time limit for filing a claim for service-connected benefits. Burial Flag The VA will issue an American flag to drape the casket of an eligible veteran who was discharged under conditions other than dishonorable. The VA will also issue a flag for a veteran who is missing in action and is later presumed dead. After the funeral service, the flag may be given to the next of kin or close friend or associate of the deceased. Flags are issued at any VA office, VA national cemetery and most local post offices. Interment in National Cemteries The VA operates the National Cemetery System. The interment of a deceased veteran of wartime or peacetime service and any person who died in the active military, air or naval service, whose service (other than for training) terminated other than dishonorably, will be authorized in any cemetery in which grave space is available. Deceased spouses, minor children, and certain adult dependent children of an eligible veteran are also eligible. Persons originally enlisting in military service after September 7, 1980, and all other people entering military service after October 16, 1981, who do not complete 23 months of continuous active duty, or the full period for which the person was called or ordered to active duty, are generally not eligible for burial in a national cametery. There is no charge for a grave in a national cemetery. A headstone or marker with an appropriate inscription to each decedent buried in a grave will be provided by the government. Application for burial can be made by the next of kin or their funeral director, only at the time of death of the veteran (or that of an eligible dependent) by contacting the director of the national cemetery where burial is desired. 2. The veteran was in receipt of (but for the receipt of retired pay or disability pension would have been entitled to) disability compensation. Payment shall not exceed the cost of transportation to the national cemetery nearest the veteran's last place of residence in which burial space is available. Headstones or Markers VA will furnish, upon request, at no charge to the applicant, a Government monument to mark the grave of an eligible veteran buried in a national, military post or base, state veterans', or private cemetery. Monuments are also provided for the eligible dependents of veterans who are buried in a national, military post or base cemeteries or state veterans' cemeteries. Dependents buried in private cemeteries are not eligible for a monument. Memorial monuments are provided for eligible, individual veterans whose remains are not recovered or identified, buried at sea, or are otherwise unavailable for interment. The monuments bear an "In Memory of" inscription as their first line. The grave of a veteran must be unmarked in order for a monument to be furnished by the government expense. Monuments are not provided for placement within the United States for a veteran buried in a marked grave in an overseas location. Who is Eligible? Veterans of wartime and peacetime service prior to September 7, 1980, who were discharged from active military service under conditions other than dishonorable. Service after September 7, 1980, must be for a minimum of 23 months or have special circumstances. 1. Persons whose deaths occurred while serving in the U.S. Armed Forces. 2. Veteran's dependents who are buried in national, military post or base cemeteries and in state veterans' cemeteries. (Divorce or remarriage terminates eligibility for the non-veteran spouse). Educational Assistance for Dependents Surviving spouses and children who were entitled to benefits under the death pension program which existed prior to January 1, 1979, may continue to receive a pension at the rate in effect as of December 31, 1978, provided their incomes do not exceed the applicable limit. They may also elect to be covered by the current Improved Pension program if it is to their advantage. However, election is final. Presidential Memorial Certificates The President expresses the nation's gratitude for the veteran's honorable service in the Armed Forces by providing a Memorial Certificate bearing the President's signature to the next of kin and other family members of deceased veterans. This program was initiated in 1962 by President John F. Kennedy and has been continued by all subsequent presidents. Eligible recipients may include next of kin, other related person and friends of the veteran. A certificate awarded to one eligible person does not preclude issuance to other family members or friends. The VA initiates a request on a family's behalf when a recently deceased veteran's survivor files a claim for benefits or notifies a VA regional office of a veteran's death. Eligible persons also may obtain a certificate with a written request to any VA regional office of a veteran's death. Eligible persons also may obtain a certificate with a written request to any VA regional office, enclosing a copy of any document which verifies the veteran's honorable military service. Civil Service Preference Certificates The VA will issue civil service preference certificates to eligible veterans seeking Government employment. To be eligible, discharge must have been under honorable conditions from a period of active service in the Armed Forces, or you must have incurred a service-connected disability during any period of service. Under certain conditions certificates may be issued to your spouse, surviving spouse or mother. Exchange and Commissary Privileges Honorable discharged veterans with a 100 percent service-connected disability and their dependents are entitled to exchange and commissary store privileges. Also covered are unmarried surviving spouses of veterans who were rated 100 percent service-connected disabled at the time of death. Certification of disability and assistance with the DID Form 1172, Application for Uniformed Services Identification and Privilege Card, may be obtained from VA regional offices. State Benefits Many states offer benefits to veterans which agree independent of federal benefits. These benefits differ from state to state. Often the eligibility is dependent on the state being the place of residency or home of record at the time of enlistment. For information, consult your local telephone directory under state government or call the VA toll-free number. A counselor will direct you to the proper organization. Maple Hill Funeral Home believes the above information to be true and correct but accepts no responsibility for incorrect information. You should check with your nearest VA regional office to verify any information contained above.